Monday saw me dust off this hardly worn striped denim skirt from Gap and pair it with a sleeveless cream ruffle top. Et voila. I made it through Monday without melting into a puddle of sweat. Go me. Tuesday, aka the hottest day of the year, was a challenge for someone who’s wardrobe isn’t really built for summer. 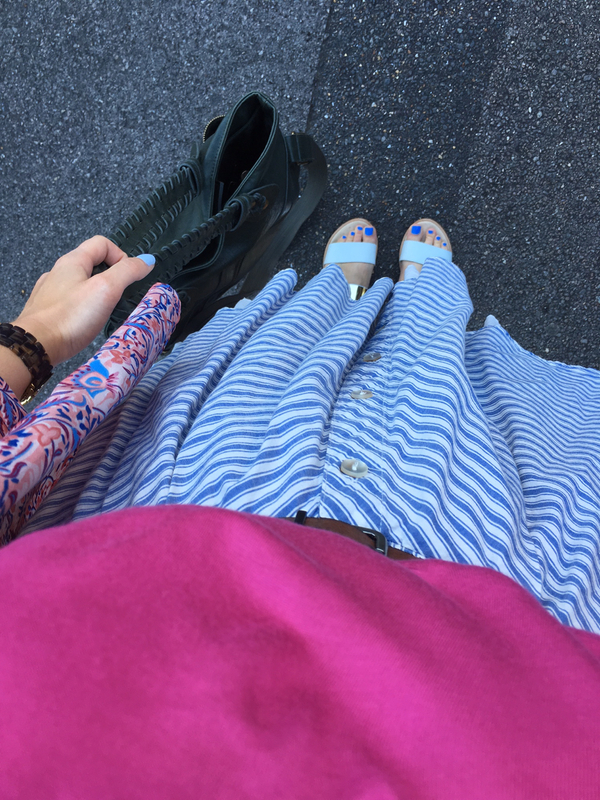 I dug a strappy pink cami out of the back of my chest of drawers and teamed it with what I like to call my milkmaid skirt, due to its blue and white stripes and white ruffled tier. 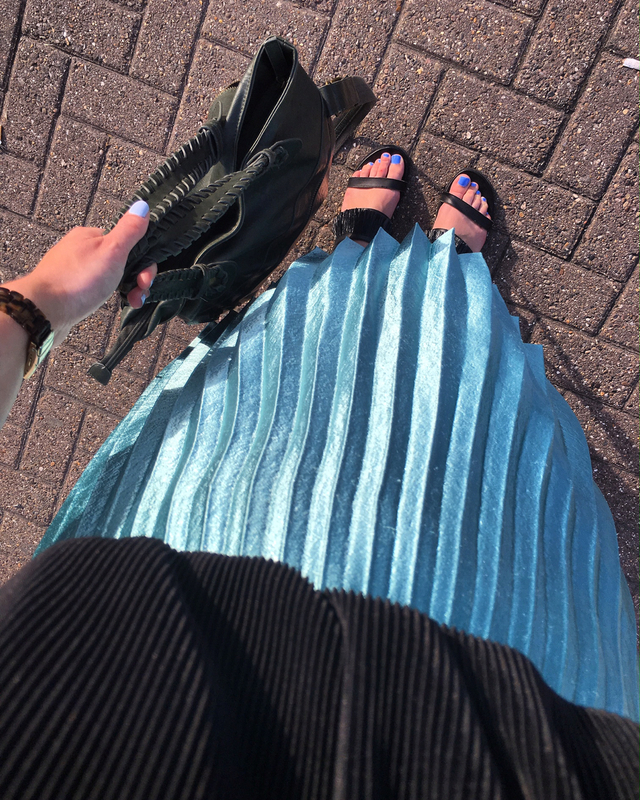 By Wednesday I was over stripes and most definitely into pleats instead, opting for my Mermaid midi and pleated black cami with tassels. 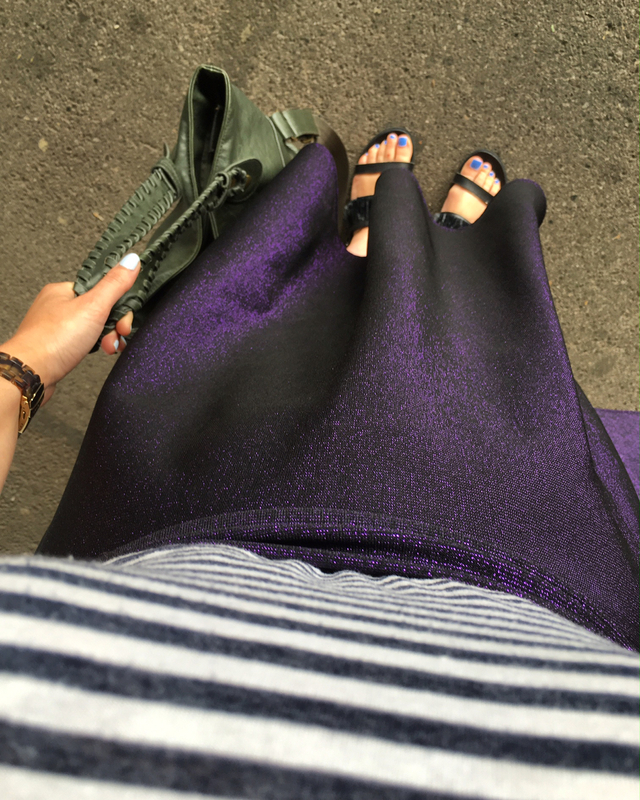 Thursday saw me rock my purple glitter midi, made for me by cousin, and a super thin Warehouse basic striped tee. There are some definite themes going on here. What can I say, I like a stripe just as much as I like a midi! 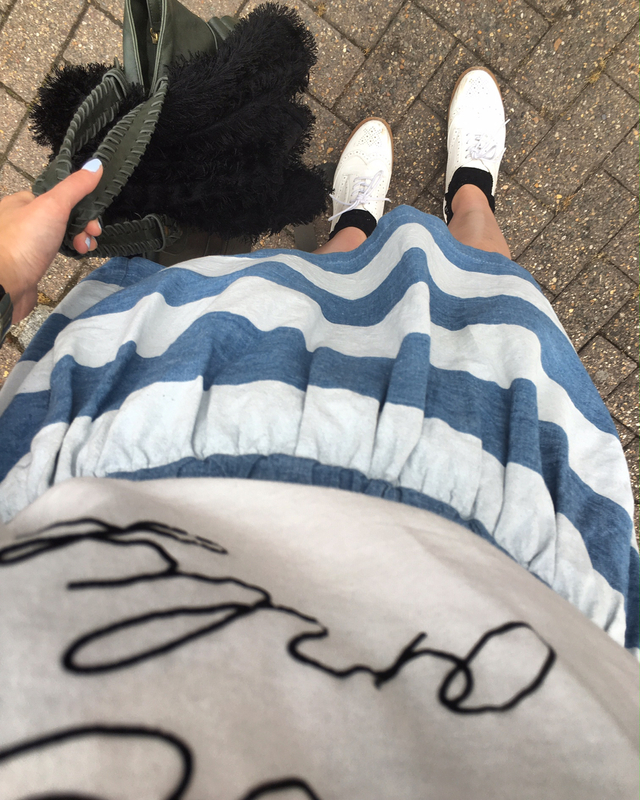 Casual Friday and an evening out with my girls saw me reach again for the Gap skirt with its elasticated wait – extra room for dinner and margaritas – and my oversize positive vibes tee. I also gave my sandals a rest and pulled on my patent white brogues and black lacy ankle socks, which made Al joke about me heading off to play golf. Chortle. Chortle. 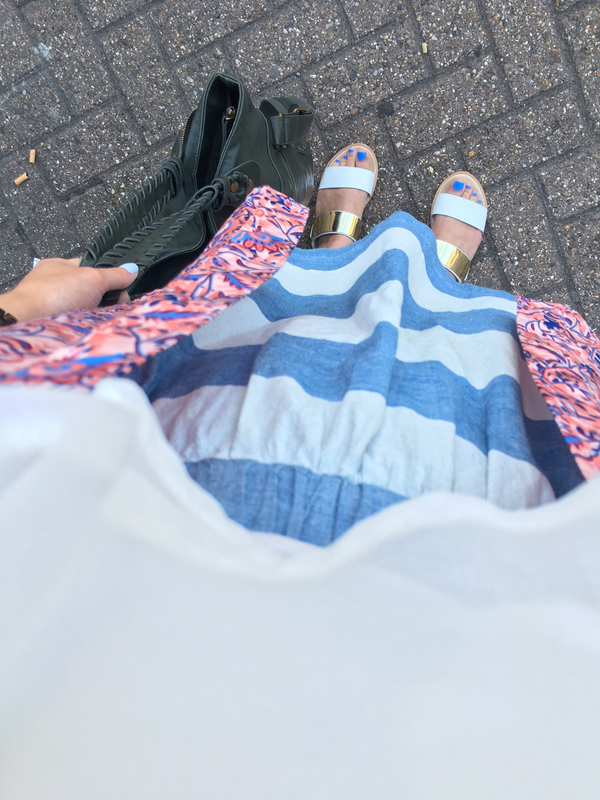 And there you have it, the five outfits that saw me through the London heat wave. I made it through the week. Go me. Now how long do I have to wait until I can start pulling on a chunky knit?!?! And yes, my beloved pink floral kimono came with me on four out of the five work days, but who’s counting? Other than me of course. Don’t forget to follow me on Instagram where I post daily pics from where I stand.